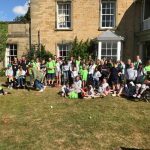 SAMs Charity delivered a Summer Respite Holiday to improve the wellbeing and reduce the isolation of children/young people 3-18 years with disabilities and/or multiple additional support needs and their parents/carers. Dunbartonshire Disability Sports Club (DDSC) organised a three nights residential disability sports camp at the Scottish National Sports Training centre, Largs for families affected by disability from West and East Dunbartonshire area. 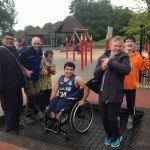 We provided a summer club for children/young people with severe learning disabilities by working in close partnership with a third sector organisation to deliver an impressive activity program in a fun and safe environment whilst providing carers with much needed respite. We provided respite opportunities for the carers of 32 children. We did this by running two activity groups for children affected by multiple complex disabilities living in Dundee. 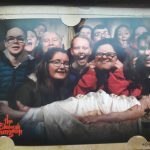 Disability Shetland planned, managed, organised and ran a Holiday Club for children and young people in Shetland who have disabilities and additional support needs. The Holiday Club offered a programme of recreational, educational and social activities for six weeks a year, during school holidays. Hand in Hand provided a peer buddy initiative providing social & recreational opportunities for 43 young people with learning disabilities & 8 peer buddies. We did this by running a fun and diverse developmental programme of activities. The project also offered respite to the families and carers of the young people. 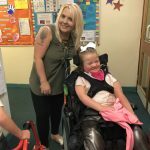 Fabb Flipside project worked in partnership with 3 local authorities working with families of disabled children who have no access to respite or short breaks. We piloted a highly subsidised progressive programme for 20 families (78 participants) who have children with complex needs. CLASP supported children and their carers living in Dunoon and the surrounding areas by organising a range or group and individual activities for children while their carer had a break. All the carers supported had children who have life long conditions which affect multiple areas of their lives.